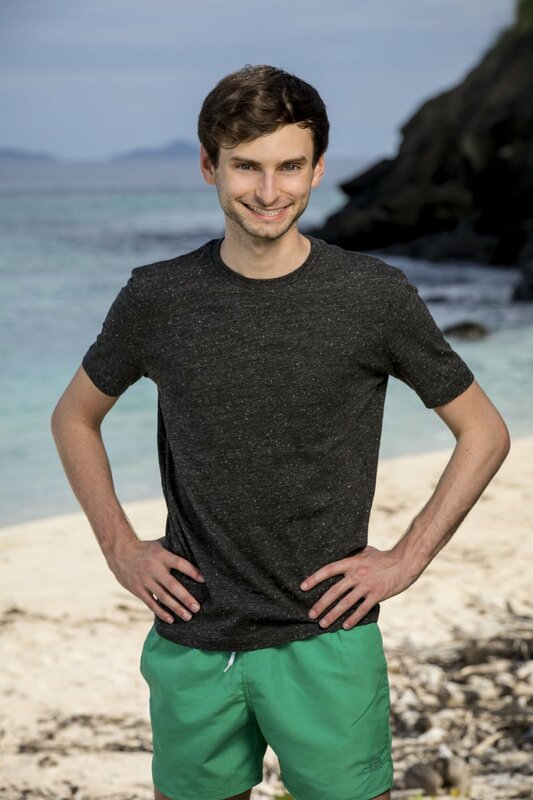 Ryan Ulrich is currently a castaway on Season 35 of Survivor dubbed Survivor: Heroes vs. Healers vs. Hustlers this fall. Ryan is a 23-year-old bellhop from North Arlington, NJ, who began the season as a member of the Hustlers tribe called "Yawa." But after a tribal swap, Ryan -- who assumed he'd be the only player in Survivor history to wear a turtleneck on the island -- became a member of the new "Soko" tribe, which featured a mix of Hustlers, Heroes and Healers. As shown in the latest preview, the merge is ahead, so Ryan survived about half the season already. Ryan may not be the strongest competitor in the game or have much physical ability, but he's proven to have intelligence as well as an incredible social game. Castaways seem to trust Ryan easily and thoroughly enjoy his company. Curious to learn more about this quirky castaway? - When Ryan was younger, he had a speech impediment and couldn't say the letter "R." He therefore took speech pathology classes from Kindergarten through eighth grade. Once his speech was corrected, he made it a goal for himself to become very well spoken, articulate and expressive. - He has worked a lot of different jobs, ranging from a waiter to an insurance salesman with his father to a little league umpire. - If Ryan could bring three things with him to an island, he'd pick a sports visor to block the sun but also allow the top of his head to get an island breeze, a McDonald's Shamrock Shake if available, and a podium so he could give press conferences and pretend like people care about what he's saying.